in the WDA Great Lakes Regional Trial, Show, and Breed Survey. High In Trial, and Hardest Hitting. to a V rating and his KKL breed survey ! Wanted to give you an update on Cedy. 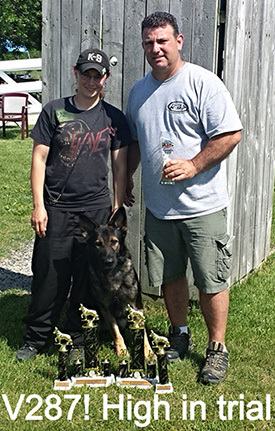 He got his CGCA (AKC Community Canine) title a few weeks back. 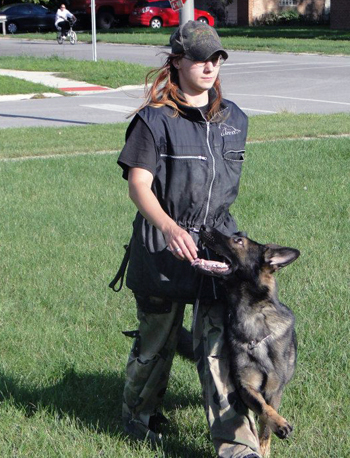 Also, this weekend we entered the Greater Chicago Schutzhund Club Trial for our IPO2. 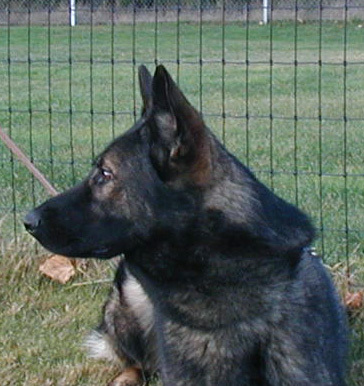 Structure - Cedy is a medium dark black sable male who weighs in about 70 pounds. 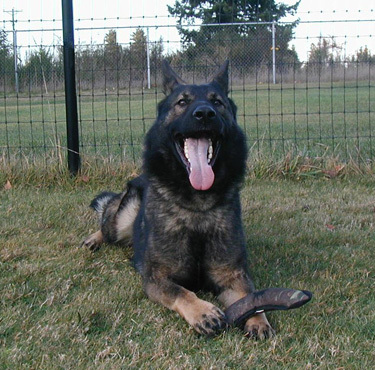 He is medium-boned with a lot of power and muscle, giving him great athleticism and endurance. 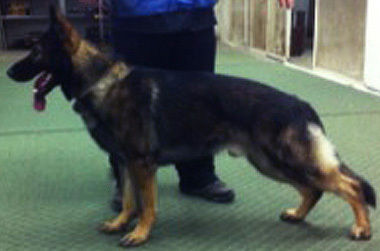 He is excellent with children and non confrontational with other dogs. His excellent Czech/ West/ East German working pedigree will bring forth a strong background genetically, for high level sport as well as for serious and dependable police work. 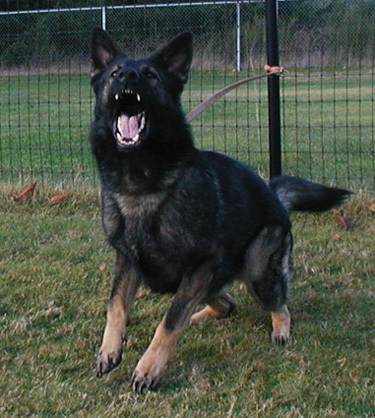 Cedy is an obedient dog with great athletic ability. 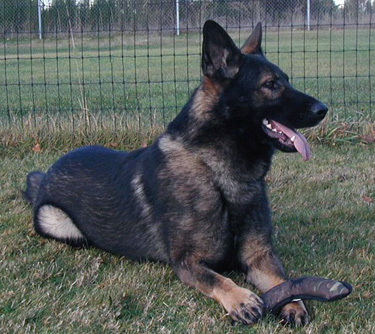 He conducts himself well in the home and is respectful in the household and co-exists peacefully with children, other dogs, and many other animals. He is confident in public situations showing steady and sure nerves, with a confident, friendly and outgoing nature presented to everyone he greets. 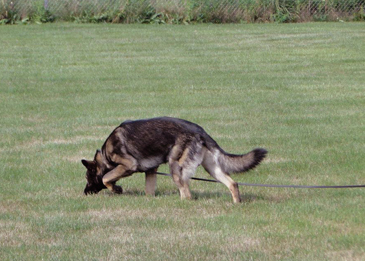 In work Cedy has a superior work ethic and focus towards the handler. 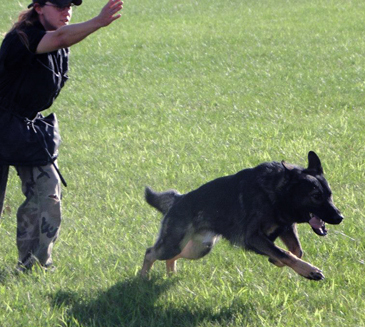 He exhibits a solid bond and loyalty with his owners and especially with his handler. 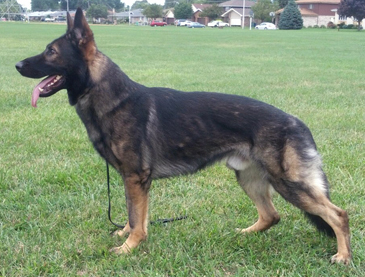 He has excellent ball and food drive, making him a great pleasure to train. 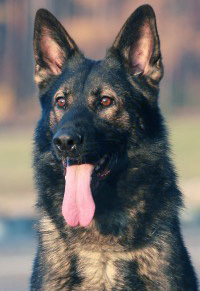 He is an obedient and non-sharp dog with a deep and focused nose in tracking, strong grips and unwavering confidence in protection work along with a good off switch. 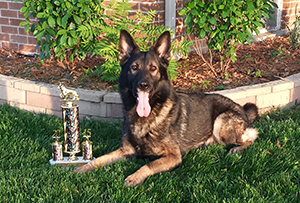 Cedy is currently working toward finishing his Schutzhund titles with his new owner, Liz Kovik in IL. .
SchH3, FH V Pushkaß vom Haus Himpel and many other Vom Haus Himpel dogs and DDR working dogs to his pedigree.